Swiss Mist Indigo Powder Hair Dye is all pure and natural, of high premium quality. This dye helps cover your gray hair to a rich bluish, black color. We recommend mixing Indigo Powder with Swiss Mist Pure Henna Hair Dye or Swiss Mist Black Dye to get a richer darker finish. Final color results are based on the unique composition of your hair. This dye is made from all-natural ingredients to protect your hair from damage. It can be used by both Men and Women. 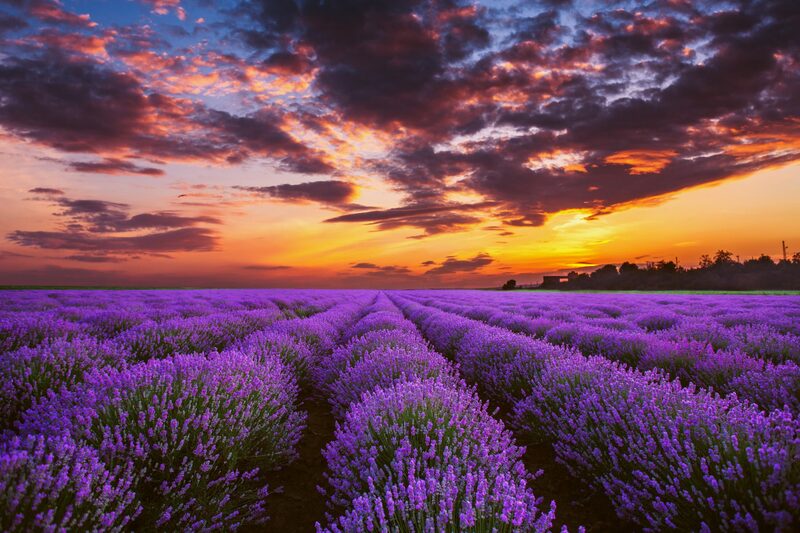 Swiss Mist Indigo Powder Hair Dye contains 100 grams (3.52 oz) of pure Indigo powder (Indigofera tinctoria). Shower cap and gloves are provided. We triple sift our powders to ensure you get the finest and smoothest hair dye powders. It is a GMO-Free Product. There are no Fillers, no Dilutions, no Parabens, no Alcohol, no Fragrance, and no additives to increase shelf life. We take great care of our henna & Indigo crops by raising them without using chemicals, pesticides, or other harmful agents that are bad for your health. 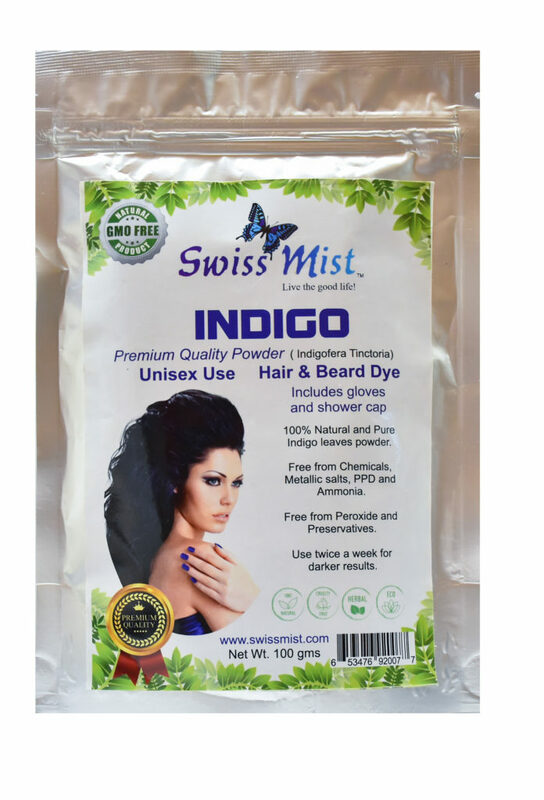 Swiss Mist Indigo Powder Hair Dye is a highly rated Henna Product available in today’s natural hair dye market. Our natural hair dye powders have a longer shelf life because it is sealed airtight in our Aluminum foil packs. This keeps our Swiss Mist Indigo Powder Hair Dye very potent with a guarantee to provide rich color to your hair. ★ Best Value: Swiss Mist Indigo Powder Hair Dye is packed in a secure Aluminum foil pouch that provides an airtight environment to keep the dye fresh till the day you decide to use it. ★ What this product does: Swiss Mist Indigo Powder Hair Dye helps cover your gray hair to a rich bluish, black color. We recommend mixing Indigo Powder with Swiss Mist Pure Henna Hair Dye or Swiss Mist Black Dye to get a richer darker finish. Final color results are based on the unique composition of your hair. ★ Excellent Natural Alternative: Use Swiss Mist Indigo Powder Hair Dye instead of chemical Hair Dyes. Our dyes are Pesticide FREE, with Zero Chemicals and Zero Metallic Salts. ★ Totally Chemical Free: Swiss Mist Indigo Powder Hair Dye is FREE of chemicals. A GMO Free Product. ★ Not Animal Tested: This Product has not been tested on animals. Use a conditioner based shampoo for washing your hair after using this dye.